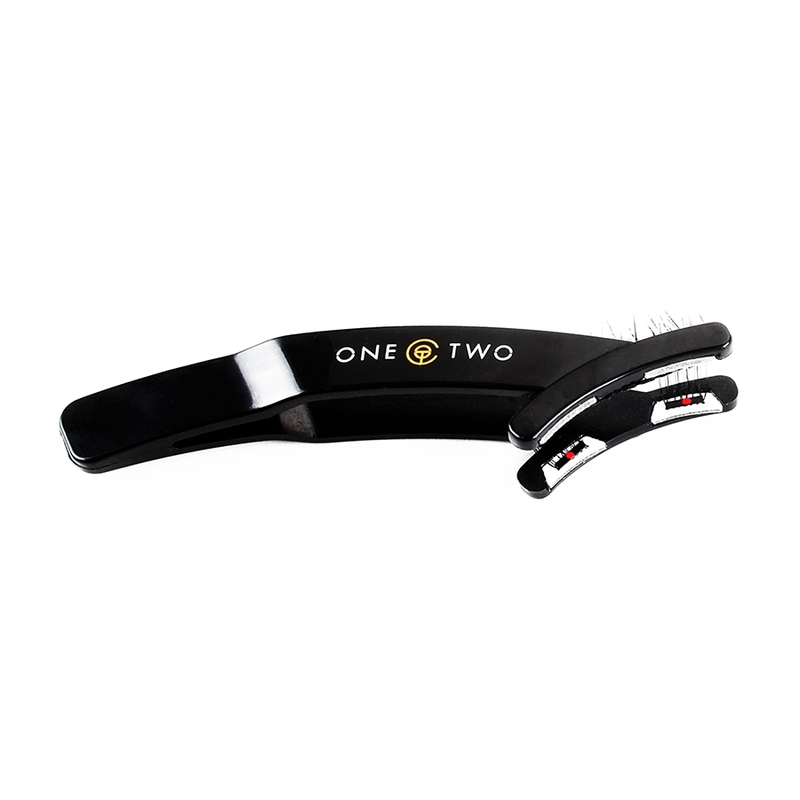 One Two Cosmetics original half strips landed a spot on the blog a few weeks ago. It was a less than desirable product review, BUT I did promise to try the Full Coverage Magnetic Lashes and let ya know if the new design had improved. I've had a few weeks to master the Full Coverage Magnetic Lashes application and here's what I think.. The magnetic-fortified strips are applied along the lash line giving you full-coverage. The new full coverage design has two magnets on the top lash (one on each end) and one small magnetic strip on each of the two bottom accent lashes. 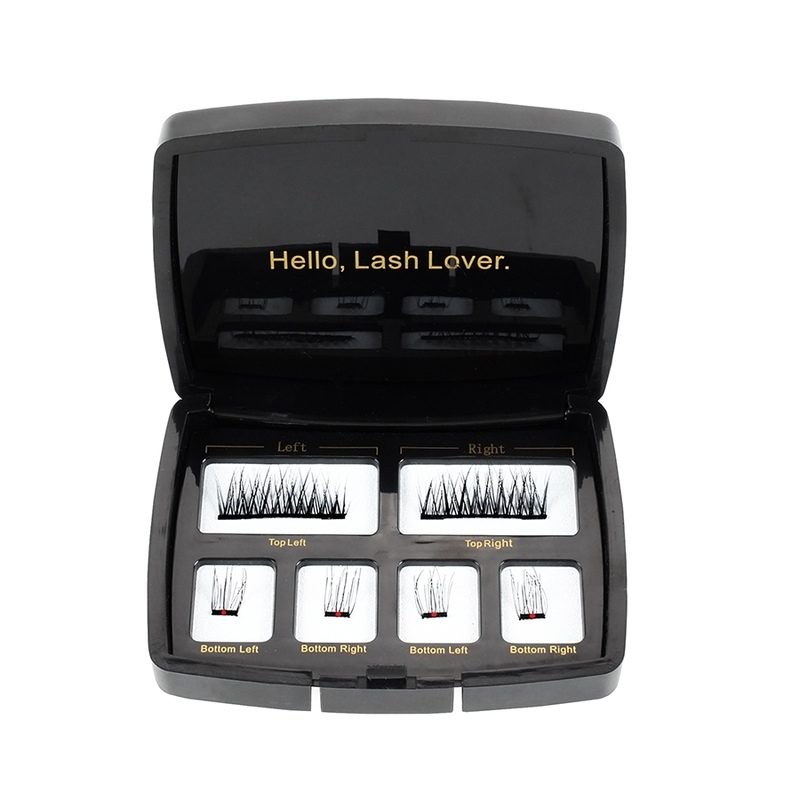 Essentially, the magnets attach at each corner of your natural lashes with the full strip on the top and accent lashes on the bottom - your natural lashes are secured in the middle. Application is the key to success with these magnetic faux lashes. It takes time and patients to master the process, BUT the foolproof applicator may make it easier. Admittedly, the first time I tried to apply these lashes, I poked my eye with the applicator tool and had to put my lesson on hold till it healed. It's not the tool - it's me! 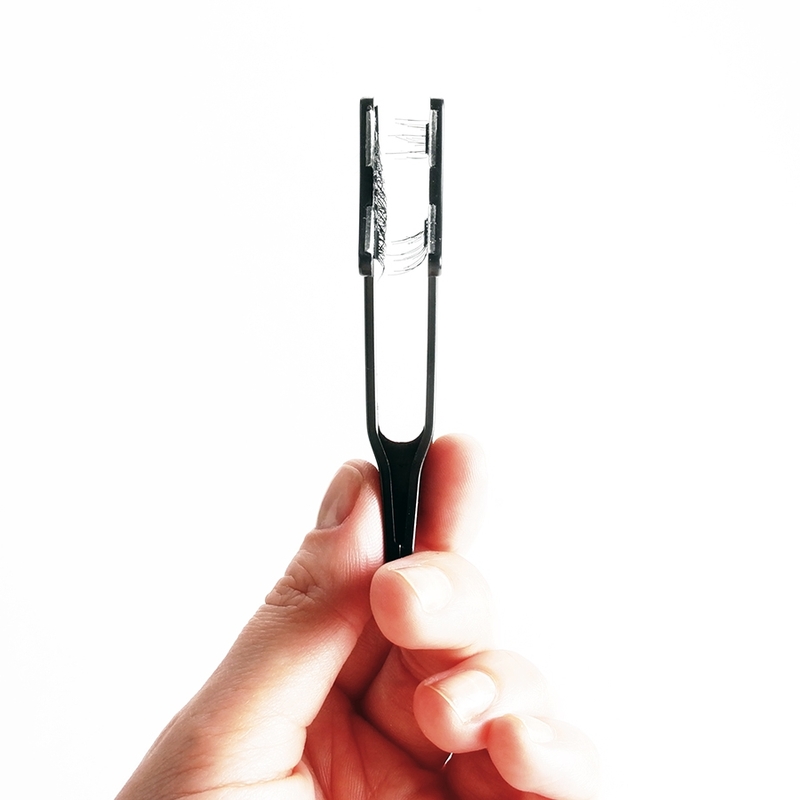 The thoughtfully design tool has curved ends with two magnets on each arm. You simply place the top lash against the rectangular magnets first, then the accent lashes, position the tool around your natural lashes and squeeze. The magnets will catch immediately. The tool works. I do however prefer to the 'hands on' approach. Hold the full coverage top lash in the middle, position the strip against your top lash line and attach one bottom accent lash at a time. I prefer to start with the inner corner and then the outer corner (it's personal preference). This application proved to be more successful for me. The new One Two Full Coverage Lash design looks more natural than the original half strips. The small rectangular magnets on each end allow the lash to curve and shape your eye nicely. The lashes feel a little heavy, but not uncomfortable. I can 'see' the inner magnet, but this wouldn't deter me from wearing these lashes. The lashes look nice and my lids are super-enhanced. The outer magnet enhances the outer corner of your eye - I like that. BUT the inner magnet is a bit obvious and unnatural. Like the half strips, you gotta pile on the eye makeup to conceal the band and magnets. The Original lash style gives you a full lash look. The Enhanced lash style REALLY amps up your look (pictured above). The individual lashes cross over one and other creating a more dense faux lash. The accent lashes in both sets are the same. Oh, and you can buy extra accent lashes - I can see how people may loose the little accent lashes easily. Also, the faux hairs on the accent lashes are super fine, so you may damage them over time. Each set comes with two top lashes, four bottom accent lashes, a magnetic case to keep them safe and organized, an applicator and 'a complete guide to applying your lashes'. One Two Full Coverage sets retail for $69 and a set of eight accent lashes for $59. They're not cheap, BUT if you can master the application and conceal the band and magnets, these faux lashes may be a great alternative to using adhesive to apply false lashes.